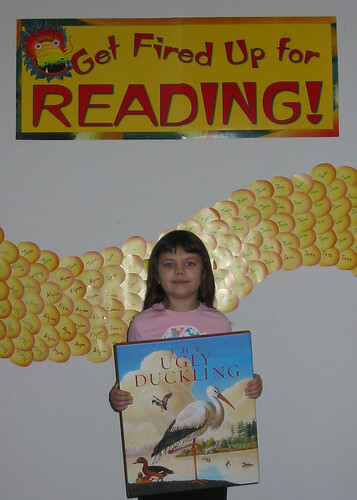 Samantha was one of the winners in the Get Fired Up for Reading Challenge! originally uploaded by mclib dot net. The results are in and Kentuckians have spoken! 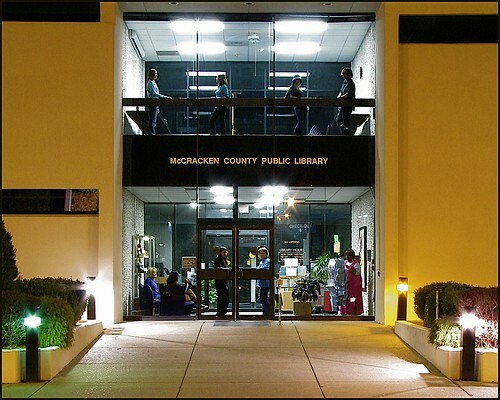 They rank the McCracken County Public Library, along with all other libraries in the state, as the most highly regarded local government service. A recently-released, independent survey reports more than 95 percent of those polled say public libraries are a good investment of tax dollars. The University of Kentucky Survey Research Center interviewed 600 Kentuckians by telephone in September and October 2007. Citizens from each county were included, the vast majority of whom say they place a high value on local public libraries. 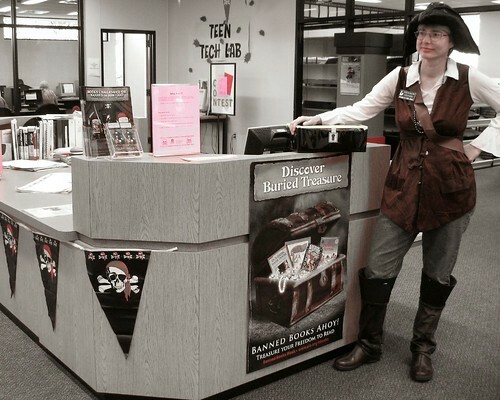 The survey was sponsored by the Kentucky Department for Libraries and Archives. The research shows nine out of 10 people view Kentucky’s public libraries as a key educational asset in the community, while more than eight out of 10 agree public libraries improve communities. More than 370,000 people, young and old, visited the main branch on Washington Street in 2006-07. This number is in addition to how many local customers used the great variety of services available from the Internet Branch, http://www.mclib.net. Nearly 24,500 toddlers, preschool and elementary school students, and teens participated in free children’s programs. 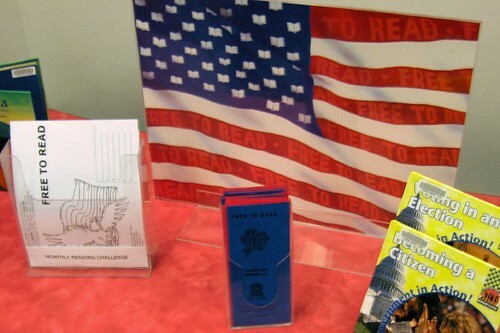 Community libraries also provide computer access, free Internet service, and computer training to Kentuckians. The McCracken County Public Library is no different. In 2006-07, more than 62,000 patrons used the free, public Internet available on first floor. Nearly 33,000 young people accessed the Teen Tech Lab. The statewide survey shows if more funds were available for public libraries, about one in three Kentuckians would like to see more computers made available for users.